Some people may want to know, I want to lose weight but I am diabetic, can I eat Zuodanli 159 vegetarian full meal? Diabetic patients have a lot of things they can not eat. So they ask, Will a long-term eating of 159 not lead to malnutrition? What if you can eat it? How to eat it and will the effect be good? 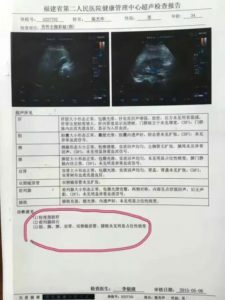 The following video is a Chinese doctor talking about diabetes, hope this video is useful for you. Anyone can eat 159, and diabetics of course can eat it. Not only can diabetics eat 159, its effect of improving blood sugar is also very good. 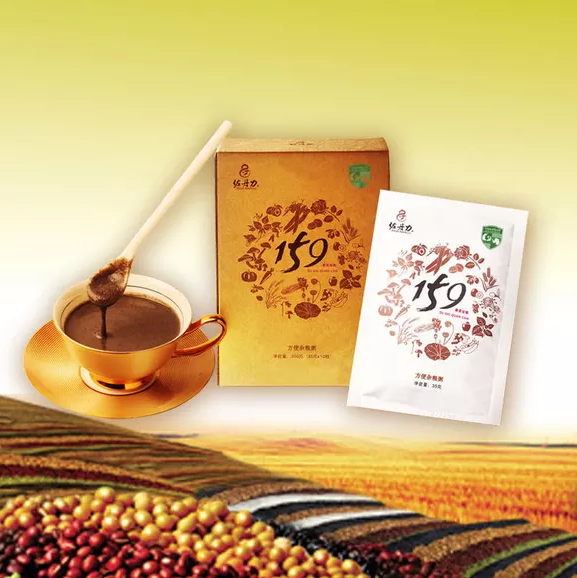 The Zuodanli 159 vegetarian whole meal corrects diabetics excessive intake of high calorie (rice, meat, greasy) foods. 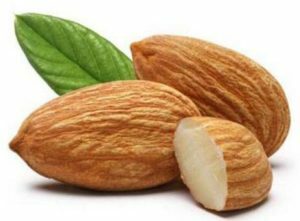 159 contains nuts, seeds, coarse grains and beans, all of which are slowly digested and absorbed, thus, slowing down the rise of blood glucose, and basically do not mobilize insulin to adjust blood glucose. As a result, many people with diabetes who eat 159 do not have to take insulin to lower their blood sugar. 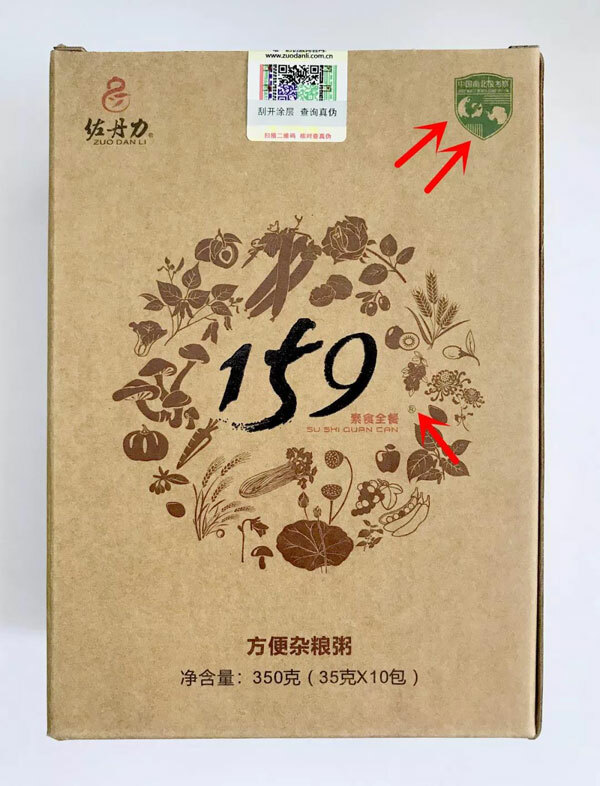 Zuodanli 159 vegetarian whole meal provides a wealth of cellular repair materials and nutrients especially the trace elements, minerals and essential fat vitamins (B,A,E, etc.) that are difficult to absorb in ordinary food.It improves metabolism of the three substances, and also repairpancreatic islet cells and sub-healthy liver cells, and gradually restores the function of self-secreting insulin, Liver synthesis of glycogen and recovery of blood glucose function is also gradually restored, blood glucose drops and diabetes improves,thus, complications are impossible! When a cell is deficient in nutrients, one is missing a hundred. 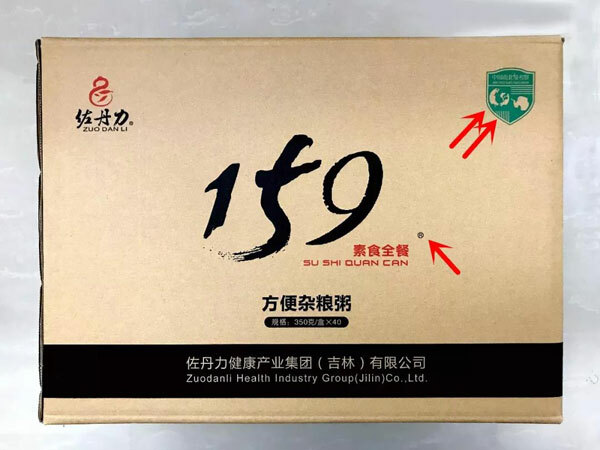 Balanced nutrition is not something a single health product can do,Only a vegetarian meal like zuodanli 159 can be so versatile and balanced as a functional food. Hold 159 hands and blood sugar will no longer be high. 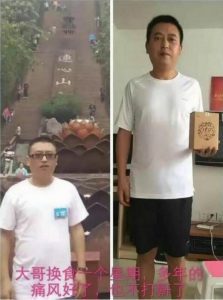 Example share: This man through 159 meal -7 day diet exchange & 14 day diet exchange & meal replacement during 3 months, restoring his self-healing power, now high blood pressure and diabetes are back to normal. People with diabetes have high (severe) blood glucose, so they can’t eat 159 with meals. After 159, their blood glucose will be high. If you really want to eat with your meal, you can only eat 159 as a staple with light vegetables.If the body condition permits, and the age is not very high, It’s best to replace the meal after the change. 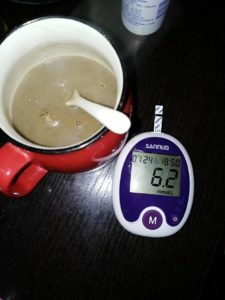 If you’re weak or if you’re sick,You can start with meal replacements.Instead of one meal in the or two meals in the morning and evening (high blood sugar but not diabetes), you can also use 159 as a complementary food as porridge to eat with some vegetables, but it takes too long and the effects is not obvious. after adjusting for a period of time like this, the state of consiouseness or the condition of the disease is stable, and then the gradual change of food is started. If you encounter diabetes with high blood sugar, please take the first meal or change the food. If it is a change of food, in the process of changing food, according to the daily labor intensity, to timely add food, ensure the daily energy supply, prevent hypoglycemia. You must change the food strictly according to the request, so that it can achieve the effect that recovers oneself to heal, recuperate the body. 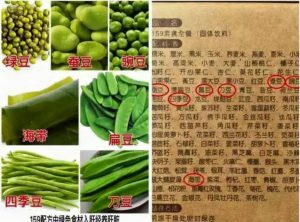 zuodanli 159 vegetarian whole meal is just one kind of food, just like the porridge you drink every day, it won’t conflict with any medicine. In the process of restoring the body’s ability to heal itself, in the body’s fight against disease, in diabetics,there will be a period of adjustment reaction, and it will be found that there will be a period of time when the blood glucose index will increase unsteadily, and it will drop down after a period of time. Why? This is because the garbage in the walls of the blood vessels is mixed with your blood and then it flows into the small vessels, and the blood becomes more cloudy,The filling of the circulation of the last bit of matter. This is like:Treat a muddy river. If the water must be cleaned of dirt,The way to remove the sludge is to float it up and mix it with water. The muddy water is drained away by running water. When the muddy water is drained, it will become clean water again. The same is true for diseases and water treatment. When the garbage in the blood vessels is cleaned, it becomes a flexible blood vessel again. The quality of blood will be improved, and the blood glucose will return to normal. This process cannot be completed at once, and it needs to be repeated several times until the blood returns to normal, so that the blood glucose will naturally return to normal. Is the self healing of diabetes really that mysterious? Is it really that complicated? In fact, it is very simple, just a small change in the concept, it is good to decide to change one of the wrong way of eating. Statement: the above case is from 159 user sharing and does not involve commercial use. 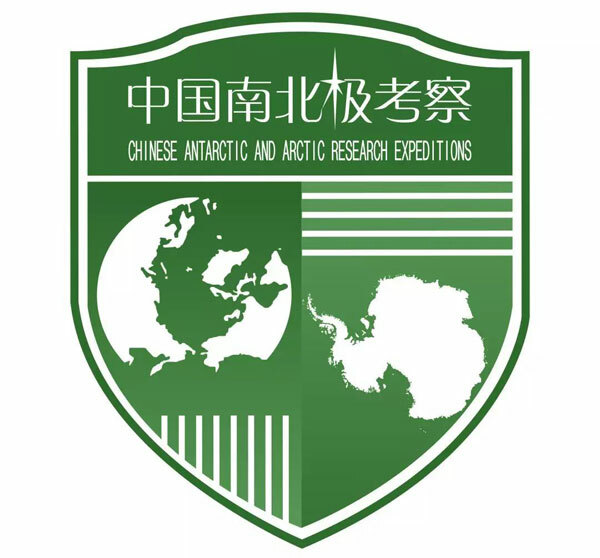 On May 9, 2018, the Zuodanli Group and the China Polar Research Center held a signing conference in Shanghai. 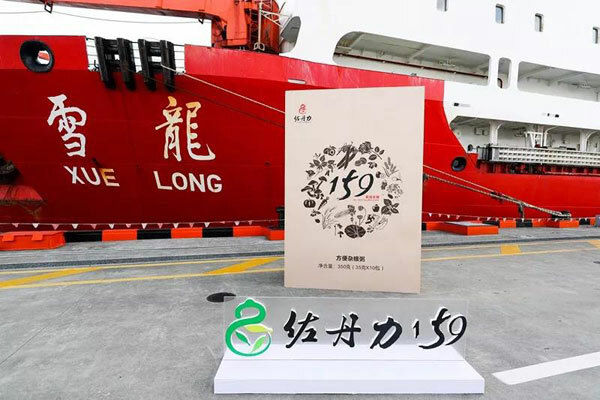 The “Zuodanli 159 Vegetarian Whole Meal” became the “selected product for China’s North Pole Expedition” officially and the product was packaged and used “”China North-South Arc Study “trademark qualification. 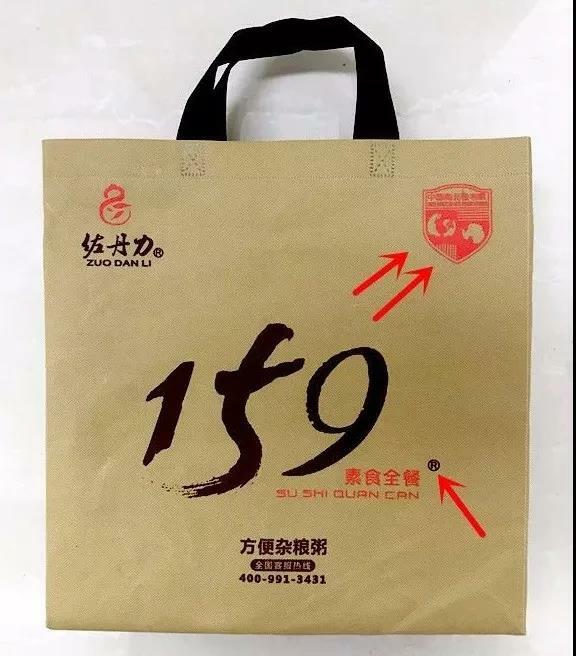 If you hear of 159, please choose the brand Zuodanli 159. It is your best choice for your health. What are the best foods to eat if you have hives?Let’s talk about the best part of this article — how to get rid of hives permanently & naturally, as well as real examples sharing in the following place! Urticaria, or hives, are red bumps that suddenly appear on your skin. Do hives itch? Yes, hives can be itchy. They can also sting or burn. What do hives look like? The appearance of hives can vary depending on the person and the cause. Hives often appear as swollen, pale or dark red bumps that are either tiny. They also can be larger and interconnected, forming welts. Sometimes the welts can merge together forming larger plaques. These plaques be as large as a dinner plate in size! How long do hives last? Mild hives can appear suddenly and be completely gone a few minutes later. Other times, hives can last for hours and even several weeks to months. Acute episodes of urticaria last for six weeks or less. Hives that last for six weeks or less are acute hives. Those that remain for more than six weeks are chronic hives. It’s nice to know that the majority of hives cases don’t last longer than 24 hours. Disclaimer: The following information is true feedback of 159 user and is only used as a sharing experience. 159 is not a medicine, it does not cure diseases. All the improvement is from the recovery of the body’s self-healing power. 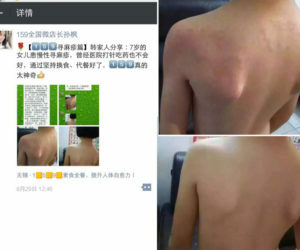 Share from Mr. Xiang: He was suffering from chronic urticaria since 2006, it is the peak of relapse from March to October every year. The skin is Itchy when the weather becomes hot ! He has to take allergies medicine for a long time. It seems that this disease is really bad! 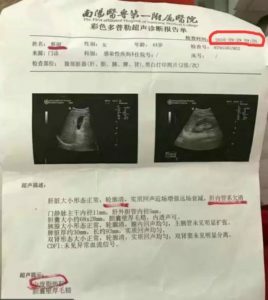 10 years medical expenses are more than 200,000 yuan! 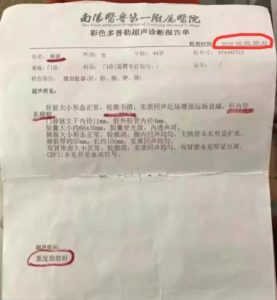 Moreover, he is still a frequent visitor to the dermatology department of Shenzhen Hospital, Hunan Xiangya Hospital and Peking University Hospital! It’s lucky in last year, he tried 159, 5 months have not eaten one more Allergies, no one! There is no one anymore! 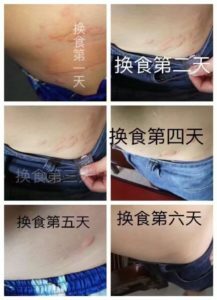 The urticaria that has been plagued for a full 10 years has actually been self-healing, and also lose 10kg weight, thank goodness!!! Example 2: Another customer sent the latest case ,159 helped him to relieve the symptoms in 6 days. It was too happy for him for the changes. 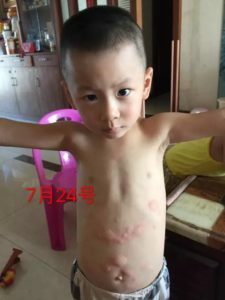 Example 3: the 7-year old girl suffered chronic urticaria, there is no improvement in hospital , but insist in 159 meal replacement , she gets recovered. It is so excited. 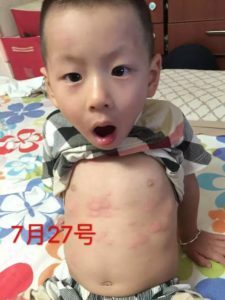 Examples 4 : This boy was inherited from his mother, because of the urticaria, his mother broke her heart. She took her son to many major hospitals, tried many medicines and everything she tried but couldn’t been cured. When stop eating the medicine it came out again. “But After changing my 159 diet twice ,my urticaria gets recovered ,so I also want to regulate my son’s urticaria”. So I began to ask all my relative’s children to eat 159, increasing nutrition and regulating the spleen and stomach. So how to reverse fatty liver OR what foods should You Be Eating When You Have systems above? If you have fatty liver because of obesity or unhealthy eating habits, your doctor may also suggest that you increase physical activity and eliminate certain types of food from your diet. Reducing the number of calories you eat each day can help you lose weight and heal your liver. iet. Choose healthier foods such as fresh fruits, vegetables, and whole grains. Replace red meats with lean animal proteins such as chicken and fish. 159 vegetarian meal, one alkaline vegan product, is a regular diet to recuperate internal organs of the human body through the methods of clearing, adjusting, and supplementing. Clearing: get rid of the toxins from the body first. Conditioning: The conditioning is to adjust the deficiencies of various organs. Supplement: The supplement is to make up for the lack of nutrition in the body. We correct the eating habits that we had eaten the wrong way. Let us eat right and make up for it. This method of detox first and supplementing later based on the concept of health preservation in Chinese medicine. The self healing ability restores the function of self-healing of the five organs. 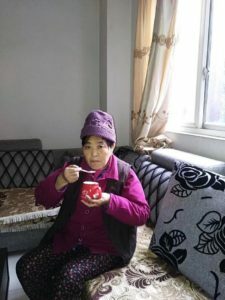 In addition, the Zudanli 159 vegetarian meal( instant multigrain porridge) are more conducive to lowering the concentration of low-density cholesterol and triglycerides in the blood, which is very helpful for liver-rearing. 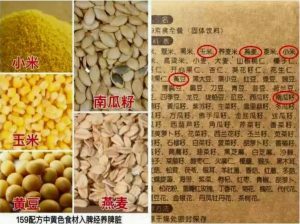 159 vegetarian meal consists of 159 ingredients (10 kinds of whole grains, 20 kinds of beans, 8 kinds of nuts, 40 kinds of seeds, 20 kinds of bacteria, 10 kinds of flowers, 30 kinds of food like Jujube, glutinous rice, etc. same with medicine meterials). 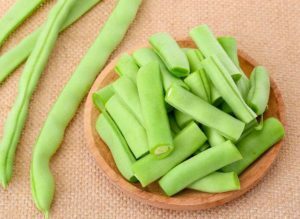 It comprehensively protects the heart, liver, spleen, lungs, and kidneys, and the corresponding blue meterials are green beans, broad beans, peas, lentils, concanavalin, kelp, etc. which are best ingredients for conditioning and protecting the liver. When the Liver gets better,then the blood of liver flows smoothly, metabolism is normal, sub-health state is repaired by “self-healing power”, blood flow well so that weight loss is a very natural thing. 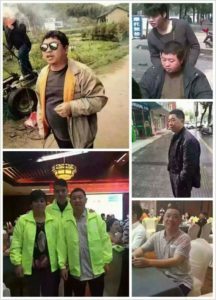 159 diet combined with changing bad Dietary habits and incresing some sports , your internal organs will get stronger and more powerful with oppression. When he liver is well-kept from inside and outside, and the disease will be cured naturally. Ok, let’s take some real examples, because of 159 made in china, the examples are chinese user. Here we will try to offer as detailed as possible. 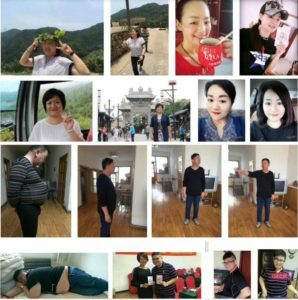 Sharing from Guanghua Chen : The two times 7-day diet exchange , the weight was reduced by 17 pounds, blood pressure dropped, and ten years of mild fatty liver healed, thanks to 159! 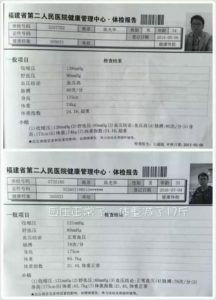 Sharing from Cai Li: One test report on May 2 ,results in severe fatty liver, one test report on September 29, the result is moderate fatty liver, and then look at the changes of the entire person before and after, a bowl of whole 159 grains can change your whole body and mind. There are too many such cases, here Only 2 examples are listed for reference. Believe it simply ,get benefits directly. Disclaimer: The above information is feedback from customers. It is only used as a sharing experience and does not involve commercial use. All of these improvment information from users is the phenomenon that the body recovers self-healing power. 159 is not a medicine ,it is the national QS standard food. The improvement of the body varies from everyone. 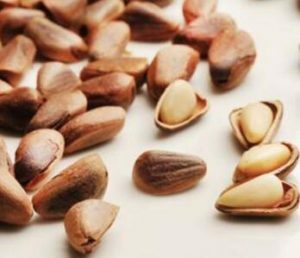 Due to the large amount of nut ingredients contained in the 159 energy meal, consumers who have had a history of severe allergies should be cautious about it. Hey, friends, I would like to share this amazing Chinese vegetarian meal-159 with everyone. I heard people in my “Wechat” talked about this product couple years ago, they kept on posting how amazing this product did to them. Such as weight loss, lower blood pressure, help on diabetes, take care skin problem and etc. I finally decided that I would like to give it a try. So I bought 3 boxes shipped directly from China to try since I am not sure how whether my family and I would like the taste or not. To my surprise, it tastes almost like the smoothy I made with nuts in it, or my 2- year boy said it is “Coffee” (from the look of it). I added to his oatmeal, he eats up the whole bowl in no time. Even my husband who normally doesn’t like things made with ground beans think the flavor is great. The major reason I want to try is I want to lose some weight. Because of sitting in front of my desk all day without much exercise, I find myself has gained quite a few pounds, and my friends are coming to visit me soon, I don’t want to give them the impression that I am gaining “American fat”, the minor reason is to take care of the “acne” in my face. For whatever the reason, my “acne” is coming out one after another in last few months, which it has never happened like this before, I tried different lotion or cream, but none of them seems to work. Third, my canker problem. The biggest difference after I take the 159 is I am having more “acne” pop up under my chins (a lot). I tried not to do anything with it, now, they are mostly gone. And the third or fourth day after I eat 159, I noticed there are couple cankers in my mouth, but they don’t hurt, it then went away in another 2-3 days. I am pretty pleased for how much it did with such a small amount of “159” I have been taken. 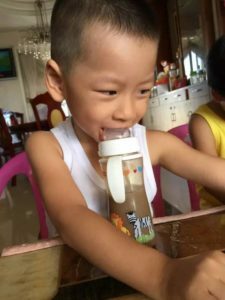 The reason I want my 2-year boy to try is for his constipation problem. He was born 3 weeks earlier, he has been having the bowel movement problem ever since he was born. 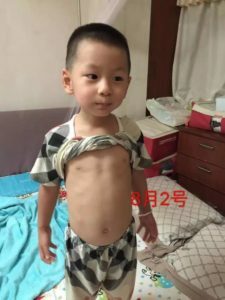 Last year we decided to take him to see the special doctor, go through all kinds of test, the doctor told us that he seems to be all normal, he will grow out his problem. At the meantime the doctor has prescribed him “Lactulose” to help the bowel movement now. But I don’t like to see my little one on the prescription medicine so early. When I heard that 159 can help in resolving “constipation” problem, and it is just natural food, which has no side effect at all. I thought there is nothing to lose to let him try. The result is fast, for the second day he eats the “159”, he actually went to bathroom couple times, with soft stole. I am so happy to see how good it works on him. Hopefully, this product can also bring a lot of benefits for you! Constipation – a word that fills many of us with feelings of dread, and indeed embarrassment to some degree and whilst not generally considered life threatening, it simply can’t be denied that constipation can make life pretty miserable for all who happen to be afflicted with it. There are a number of causes of constipation, with many of them being dietary and/or medicine related. Whatever the cause may be, one thing’s for sure, and that’s the fact that you’ll want to clear the problem up as soon as possible. If you’ve ever suffered from constipation you’ll know that it can make you feel physically ill, it can be physically and mentally draining, it can cause painful stomach cramps, and it cause some very painful bowel movements which can result in bleeding and possibly even hemorrhoids. If you are suffering from constipation,don’t worry, it is actually quite a regular occurrence for most people. Your job now is to get things moving inside of you. The quicker you get rid of that constipation, the less pain you will suffer from. On this page, we are going to discuss how do you get rid of constipation-Fast Constipation Cure with natural remedies for getting the stool out the ‘natural way’. Get more fiber into your diet! This is probably one of the best constipation remedies around. Most people are blocked up because their stool is far too hard. Fiber will help to soften up that stool. If you get enough fiber into your diet, it will just come right on out. There are plenty of different ways in which you can get more fiber into your diet. Just look up a few recipes. One of the best tips I can give you here is to use prune juice. Prune juice is high in fiber and sorbitol, both of which are useful for when it comes to how to stop constipation. Olive oil & some lemon juice . Many people will find that one of the most effective constipation remedies for them is the consumption of a small amount of olive oil mixed with some lemon juice. You should consume a tablespoon of olive oil followed by a teaspoon of lemon juice. This will help to stimulate your digestive system and will hopefully start to get that stool moving. Even if you are not suffering from constipation, I suggest you start your day with this remarkable remedy. It will help prevent constipation from ever occurring in the first place! Coffee is also another brilliant remedy. Studies have shown that one or two cups of strong coffee a day can help to stimulate the digestive system. However, you should be aware that too much coffee will have the opposite effect. It will cause you to become dehydrated and that will stop the stool from coming out. Do not go overboard with the coffee. Honestly, all you need is one to two cups a day. You will be fine. Move around! It is no surprise that those who suffer from constipation the most tend to be those who exercise the least! Moving around will help to kick your digestive system into gear, which will of course make it far easier for that stool to start its journey towards the ‘exit’. Baking soda!!! Suffering from any health problem and you can bet your bottom dollar that somewhere along the way people will tell you to consume baking soda. I am telling you to do that here. Baking soda is brilliant for constipation. Baking soda will help to alleviate the painful pressure of the constipation. It will also make it a bit easier for stuff to pass through your digestive system. You should mix a teaspoon of baking soda in a quarter of a cup of warm water. Drink all of it in one go. It will not taste pleasant, but at least it will be clearing you out! Why does 159 vegetarian whole meal work for constipation? The main reason why people are constipated is that too much toxins piled up in the intestine, resulting in the gut can not run properly, so you’ve suffer constipation. The 159 vegetarian whole meal works by four functions -ventilation of blood; detoxification ; energy supply; tune the internal organs . When you discharge the toxins and making up the energy , the gut will be naturally back to normal function, so the problem of constipation will never exist. How do you eat 159 to solve the constipation? 5: 00-7: 00 every morning, drink 200 ml of warm water first then eat 159 vegetarian whole meal, last drink 200 ml of warm water. Persist in this diet 7-30 days, you will find your constipation has been solved. Why do I recommend you this food? Laxatives will never cure constipation with side effect. You won’t have the spirit, psychological pressure by food therapy . Diet can prevent serious illness, malignant disease. So if you are looking for foods to relieve constipation fast, 159 maybe your perfect choice, believe it or not, try it. When you receive 159 meal, you may ask how to eat this meal? Now this article will share with you 159 eating details . 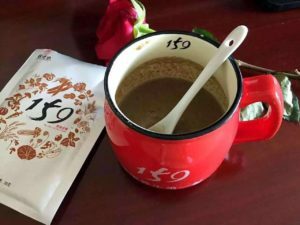 159 meal replacement can be used as a snack, nutrient porridge , with three meals a day , eat the way as you want. [who is best for]: any people including children, pregnant women and the elderly. Replace one meal such as dinner or two meals breakfast and dinner in a day, no taboos. [who is best for]: People who are busy with work or women pursuit beauty & health, conditioning sub-health, but pregnant women and children are not recommended . It’s a very nice way to lose weight, as you can eat anything you like for lunch. But please keep in mind that, if you want to lose weight you must eat 159 for dinner. Replace all three meals a day with 159 meals , you can arrange 3 days,7 days or 14 days diet exchange. During the diet exchange, you have to eat only 159 and water, 200 ml before and after eating 159, nothing else. More than 3000 ml of water one day is better . Add some brown sugar water if there are dizziness during the exchange. On Day 5, start Diet exchange to replace all meals, breakfast, lunch and dinner, we recommend 7- day meal replacement. You need to at least continue to eat 159 for dinner & breakfast for about 20 days, before you start the second time diet exchange. [who is best for]: people who are serious sub-health, weak immunity and detoxification of the body. It’s a period of fast weight loss. 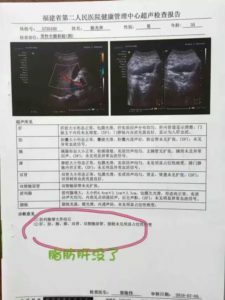 Pregnant women, children should not be allowed. 1. Preparing a pot of hot water (because 159 must be boiled with water, the effect will be weakened if you delay sometime. 2.While boiling water, you have to drink 200 ml warm water first. 5. Stirring while pouring water . Generally controlling water within 200 ml, according to your taste. 7.Cover the lid, boring 3-10 minutes. 10. Drink 200ml water last. For different kind of people , how do you eat best? 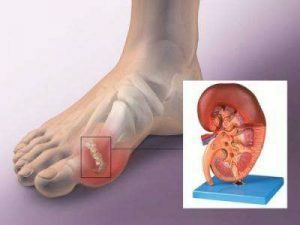 If you are suffering the Gout and eager to know how do you get rid of gout naturally, then you come to the right place. Gout is a type of arthritis caused by too much uric acid in the blood. When the concentration of uric acid gets too high, sharp urate crystals form. These crystals collect in the joints and cause swelling and intense pain. Gout attacks often come on suddenly and without warning and typically last 12 to 24 hours. The big toe is the most common joint affected, but gout attacks can also affect the ankles, knees, hands, and wrists. If left untreated, gout attacks occur with more frequency and can eventually cause permanent deformations and damage to joints. Today we are going to share one Diet -159 Vegetarian Meal Plan That Works for You. The food you eat will help you manage gout and ease symptoms such as joint pain. Gout is a painful disease ,but the key is the kidney which processes Uric acid dissolved in the blood. 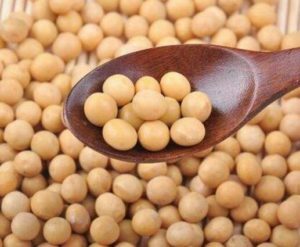 If the body makes extra uric acid, or if the kidneys cannot clear enough of it, then uric acid levels in the blood will become too high, a condition known as hyperuricemia . 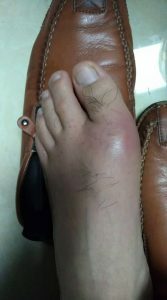 Hyperuricemia is not a disease and may not cause problems, but if it continues for a long time and conditions in the body are right, crystals may form and cause gout. Most experts recommend that uric acid levels stay below 6.0 mg/dL in order to prevent gout attacks. So how does 159 Vegetarian Meal Plan work? 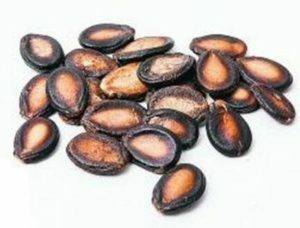 Black foods of 159 ,such as black beans, black rice, black sesame, black fungus, seaweed will be benefit for kidney. Check the reason here . 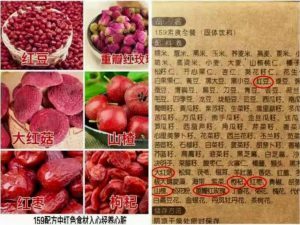 With the function of detoxification and make up blood energy,your kidney function will be gradually and effectively improved . 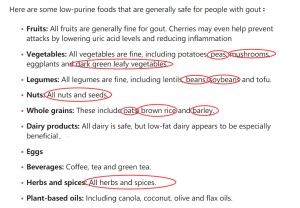 Source: https://www.healthline.com/nutrition/best-diet-for-gout, by the way you can find the materials in the red circle from 159 meal. How do you eat 159 for gout patients? It is recommended to replace the breakfast (1 packet)and dinner (1 packet) for the first to second month. Pour 1 packet into at least 200ml boiling water ,stir well and cover for three minutes, it is better to drink 200ml warm water before and after 159 to help detoxification. During the 159 diet,you may have some reaction such as exhausted, soreness or fever, do not worry, this is is normal Of the adjustment reaction which is in the process of ventilation toxins. 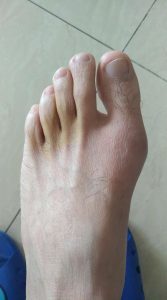 At this time the gout should be painful without swelling, what you should do is just to add more 159 with a lot of water, continuing to make up nutrition and energy for the body cells to help get rid of uric acid. After Meal replacement for 1-2 months, you can do 7 days exchange diet to speed up the recovery of organs. 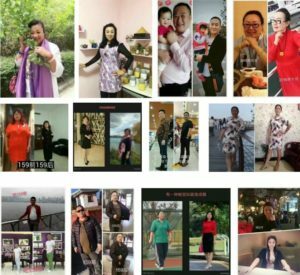 It should be noted that in the process of diet exchange, you should be strictly avoid taboo such as alcohol and tobacco, seafood, spicy, animal offal, meat soup and a large number of soy products and so on. Therefore, patients with gout not only need to change the current lifestyle and eating habits, but also to restore the kidney function, improving filtration capacity to discharged acidosis. Disclaimer: The above information is feedback of customer , this is only sharing as experience. These body improvement information is the phenomenon of self-healing of body. 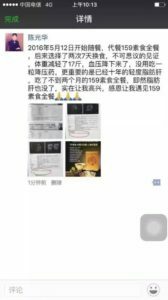 159 is neither a medicine, nor a health product, it is only a national QS standard food, the improvement of the body varies from person . 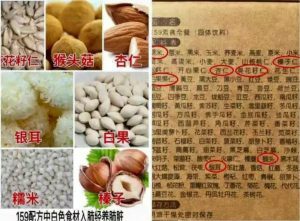 If you are allergic to nuts，please carefully to eat by following doctor’s advice as 159 contains a large number of nutty ingredients. What I want to tell you is that this is not fiction, but one great news of health to you about human being. If you are told that human beings can heal their own disease without having to take medicine, you might ask me: are you crazy? But this is a fact! “Because human beings do not have to take medicine at all!” This is a truly great discovery that will change the health history of human. 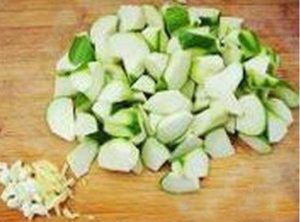 Heart disease, cerebral thrombosis, hypertension, diabetes, gout and dozens of Life-long refractory diseases which can be cured in a simple way – this method is “eating” you believe it? Dare not to believe it! But it’s true. “Let food be thy medicine and let medicine be thy food”. Bad food is bad medicine and will make us sick. Good food is good medicine that can prevent, reverse, and even cure disease. Take away the bad food, put in the good food and magic happens. 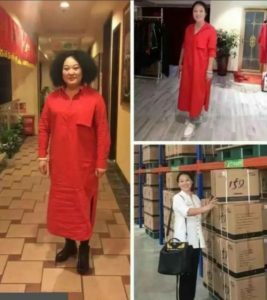 You may hear some good news from your friend who ate 159, she becomes thinner, healthier and more beautiful , is 159 vegetarian meal really so magical? Today we would like to expose the secrets of 159 vegetarian meal ( 159 natural foods), why it works, and how it heals your body. 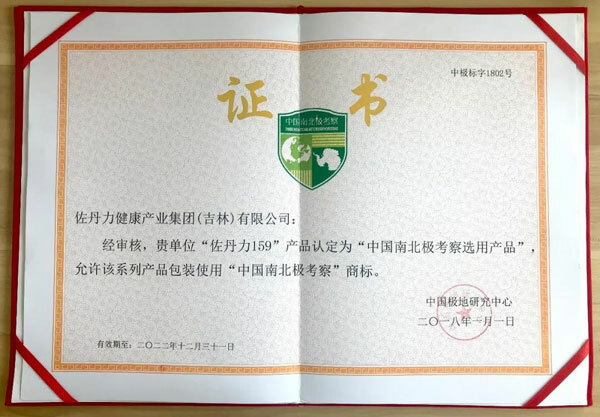 159 Vegetarian meal is one natural, organic food with the proportion of nutritious foods accurately calculated according to nutrition standards. 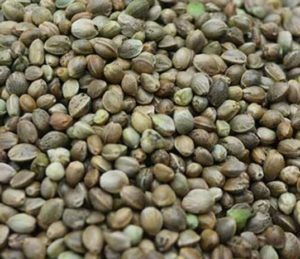 It includes whole grains, beans, soybeans, nuts, seeds, algae and flowers. 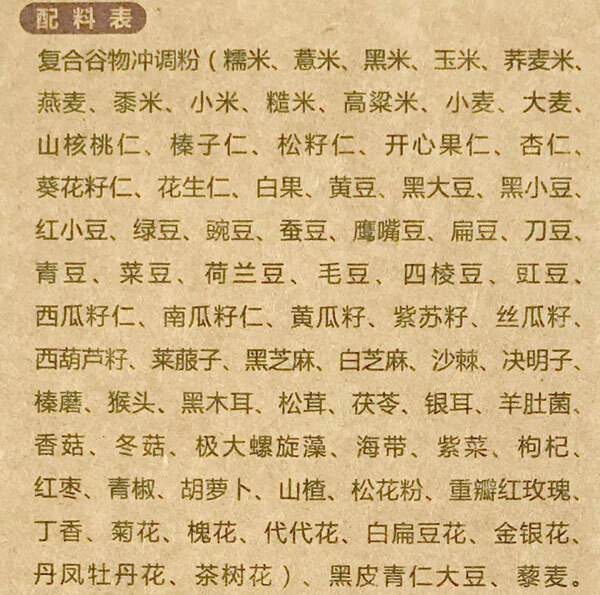 Among these materials, more than 30 kinds of medicinal and edible ingredients, such as Chinese wolfberry, honeysuckle, cassia seed, wild jujube kernel, prickly heat, pecan kernel, barley, kidney bean and so on, perfectly illustrate the concept of “food diversification”. Simply to say, 159 works as following four functions –ventilation of blood; detoxification ; energy supply; tune the internal organs . 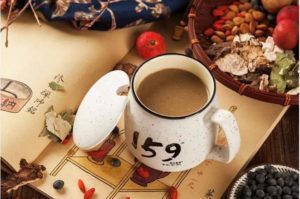 When you finish cleansing the blood cells , getting the spleen and stomach improved , discharging the toxins and making up the energy ,most of the diseases will be cured as 159 helps you start your own self-healing which is much more powerful. 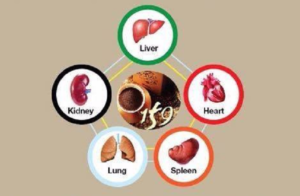 159 is based on the five colors of food nourishing the five internal organs. The internal organs of the humans’ body are interrelated. 159 ingredients correspond the heart ,liver,spleen,kidney and lung ,spleen! Red foods belong to the five elements of the “fire” which is benefit for the heart. Eating more red foods can prevent colds, make up the blood, so it is more suitable for those people such as physical thin, anemia, heart palpitations, limbs cold, hand and foot weakness and other symptoms . Yellow food is the best food to protect spleen and stomach, so we have to know how to nourish and protect them! At the same time, yellow stimulates nerves and stimulates energy, helping to concentrate and increase interest in learning, especially benefit when you eat during breakfast. Corresponding foods: soybeans, burdock, foot tubers, barley, chive, pumpkin, apples, corn and other corn. 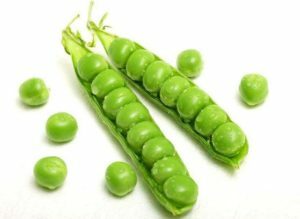 Green foods, including green vegetables and fruits, are the main source of vitamins, the main effect is to sense the stomach, promote growth, detoxification. Green foods are not only beneficial for liver circulation, metabolism, but also to eliminate fatigue, relieve liver depression, eating more dark or green food plays the role of liver protection. Corresponding foods: cabbage, cabbage and spinach, etc., contains beneficial liver health chlorophyll and multi-vitamins! Kidney is our natural basis, the main possession of sodium. Black foods are the most obviously effective for kidney prevention and treatment of cardiovascular and anti-aging. 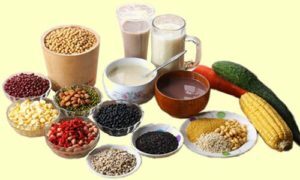 Melanin-containing foods also help to improve kidney metabolism and reproductive system function. 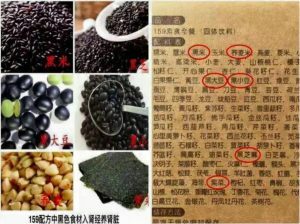 The corresponding food: black beans, black rice, black sesame, black fungus, seaweed. White food can nourish lungs, so people who are weak in lung function should eat more white foods to enhance anti-allergic and inflammatory functions . 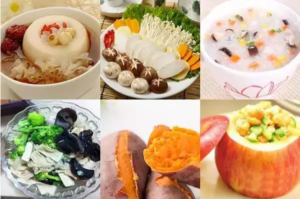 The corresponding food: yam, white beans, melon, pear, white radish, white fungus, lotus root, lily, rice noodles, tofu, cauliflower, bamboo shoots, sweet potato and so on. Why 159 Meal Can Recuperate From Most Diseases? When each organ is well-balanced nutrition absorption, the body will be naturally healthy! Everyone needs to eat food , but eating the right food is the best choice. 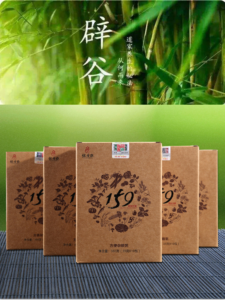 【1】159 is composed of 159 kinds of ingredients in accordance with prescriptions which has therapeutic function. 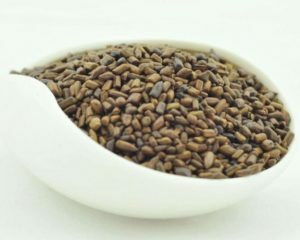 【2】 159 is a purely natural alkaline food which can quickly adjust acidic physique and sub-health symptoms. 【3】 Eating 1-2 bags a day to meet the body’s nutritional needs ,making our diet completely reasonable. 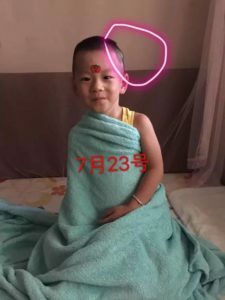 【4】 Giving the body a comprehensive “4S maintenance” with 159 Vegetarian meal replacement for seven days, waking up and starting the body’s self-healing system which will repair and conditioning the body’s internal organs to make you 3-5 years younger. If you want to detox or lose weight to manage chronic diseases, it’s never late to have a try.